I installed on my Ubuntu desktop first (server) and my Windows laptop second (client). When I open it, all I see is a single square with my hostname. This is true on both machines. The laptop has a green square, the desktop is a black square. Also, it looks like it's using the default port, can that be changed? 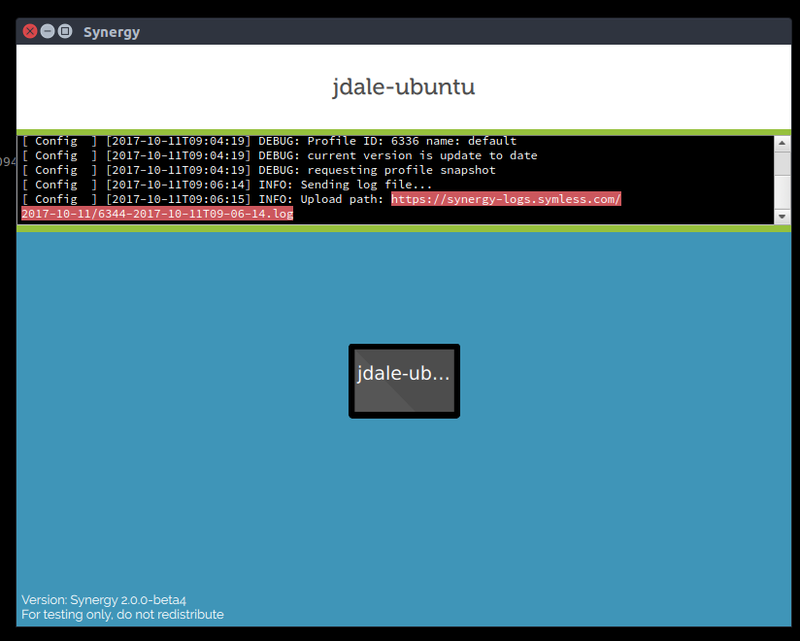 There's a lot of people on my network that used synergy 1 and I would randomly get autoconfig requests, so I started using my own port. Got it to work following the linux troubleshooting steps. My bad!